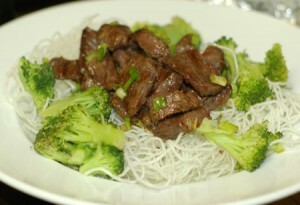 This Asian-inspired sweet and salty grilled beef took an unexpected turn when my rice wasn't ready in time; I turned fried mai fun noodles into a nest for the meat instead. 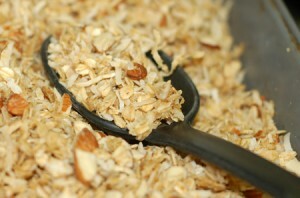 An old favorite granola recipe: just sweet enough, with great crunch and infinitely adaptable. This version features almonds, coconut, and vanilla. 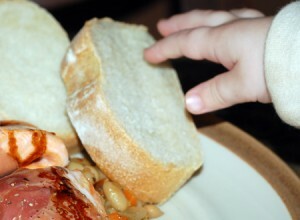 Prosciutto-wrapped salmon was the main course, but hearty white bean ragout and home-baked bread stole the show. 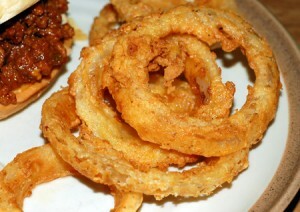 A drizzle of balsamic reduction ties all the Italian elements together. 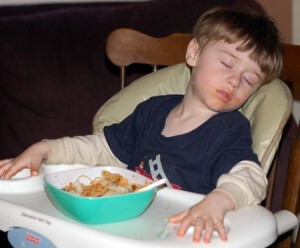 A silly post about my son falling asleep in his high chair. 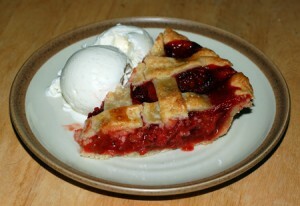 A celebration of spring in a pretty latticework package: classic strawberry-rhubarb pie.